Vidaris, Inc. is a consulting firm specializing in building envelope, sustainability, energy efficiency, and code advisory. The company was created by combining the legacy firms of Israel Berger and Associates, LLC (IBA) and Viridian Energy & Environmental, LLC. Formed in 1994, IBA established an exterior wall consulting practice providing niche services to real estate owners, owner representatives, and architects. Services were provided for new construction as well as investigation, repositioning, repair, and restoration of existing buildings. Later expansion included roofing as well as waterproofing consulting, encompassing the entire building envelope. IBA developed into an industry-leading resource. Viridian Energy & Environmental was established in 2006, providing consulting services to assist building owners and managers in energy efficiency, sustainability, and LEED certifications. Energy modeling expertise set Viridian apart from other consultants offering more standardized service and support. In 2011, IBA and Viridian Energy & Environmental merged their specialized service offerings to form Vidaris. 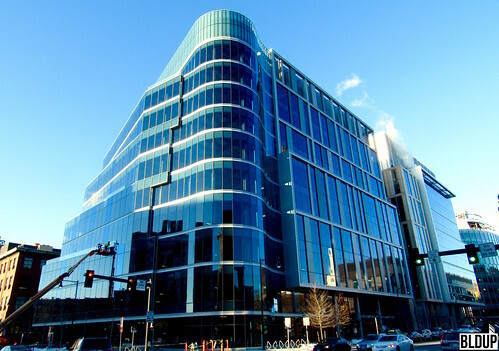 As building envelope designs and mechanical systems were becoming more complex, the two companies recognized that it was an opportunity, more so a necessity, for them to be able to provide a holistic approach to these closely related disciplines for their clients. Deep technical knowledge, a long proven track record, reputation, and a sophisticated analytical approach would allow Vidaris to provide a level of service second to none. Today, Vidaris’ experienced professional staff, made up of architects and engineers, provides an integrated, holistic approach to building challenges by delivering expert advice across multiple service offerings. Vidaris continues to work collaboratively with design teams (architects, engineers, other specialty consultants, manufacturers, and contractors), assisting them throughout the design, construction, and post-occupancy of new and existing building projects. Vidaris utilizes the latest technology, modeling software, and design trends together with their in-depth and up-to-date knowledge of energy and building codes to assist its clients in constructing or maintaining a quality building. Vidaris’ professionals continue to serve as representatives on regulatory boards and code committees, thereby being at the helm of the industry when it comes to energy and building code compliance. As building designers and system vendors continue to develop new and more sophisticated designs, surpassing present conventional practice, Vidaris’ advisory impact will prove to be even more critical. 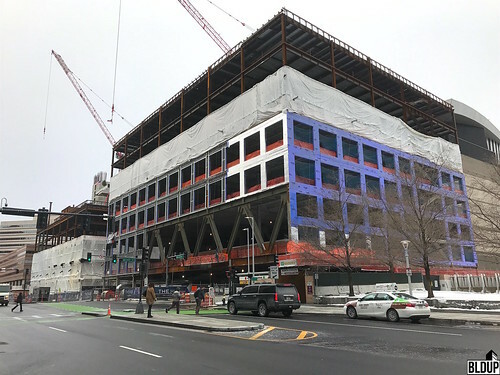 Framing continues to rise for 314 Main Street as part of MIT's Kendall Square revamp with glass facade install now kicking off. 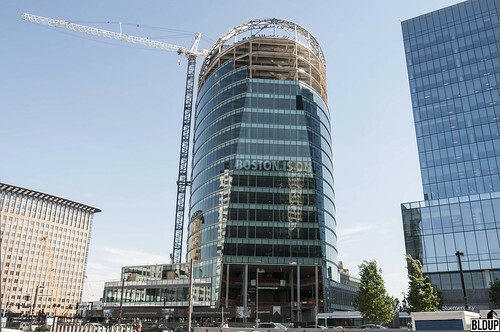 The 17 story building will be home to Boeing and the MIT Museum. Construction is expected to run through 2020. Just down the block work is also continuing on the addition to One Broadway which will be home to new 19,000 square foot Roche Brothers Supermarket. 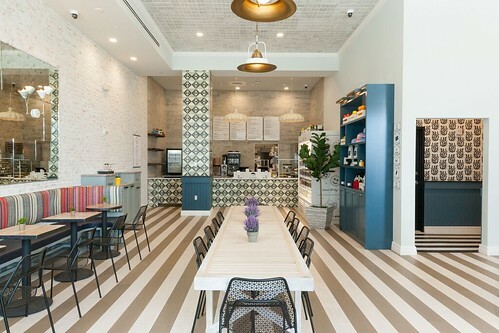 This much-anticipated addition to the neighborhood is set to open this summer. 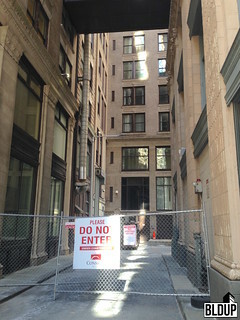 The Boston Landmarks Commission has received an application to demolish the parking garage at One Post Office Square. The demo of the parking garage will be the first step in the modernization and expansion scheduled for One Post Office Square. Once the old garage has been cleared a new 18 story structure will take its place to include 300 parking spaces and 13 stories of new office space. 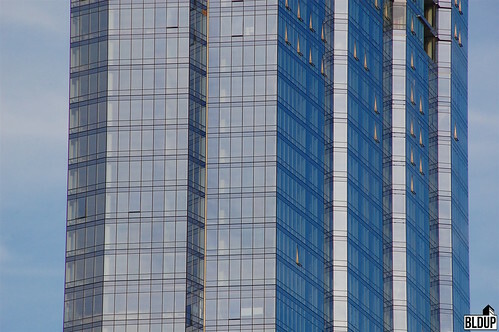 As part of the project, the tower's facade will also be fully revamped to a more modern glass look. New indoor and outdoor tenant spaces will also be created along with an 8,000 square foot restaurant space. Hemisphere Development has submitted an NPC to change the project of 15 Congress Street from 35 condo units to a 116 room hotel. A five-story addition originally proposed is still in the plans and retail and restaurant space will also remain in place on the ground floor. 15-19 Congress Street is part of the Congress Square redevelopment that will help to transform Quaker Lane from a forgotten service way into a pedestrian-friendly, European-style arcade, with cafes and outdoor seating. 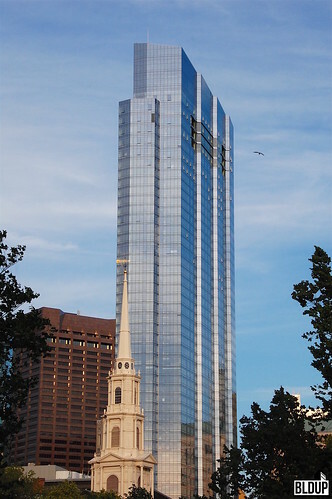 The Congress Square development located in Boston's Financial District has been refinanced for $190.73 million. 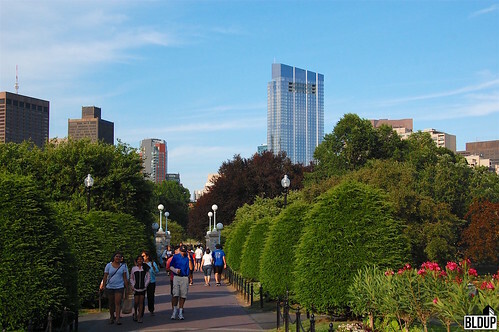 The project consists of a 458,300-square-foot mixed-use development featuring a state-of-the-art hotel, office, residential and retail space located in the heart of Downtown Boston overlooking Post Office Square. Five historic buildings will be fully restored, and new additions will be constructed for a total of 92,700 square feet of new construction. 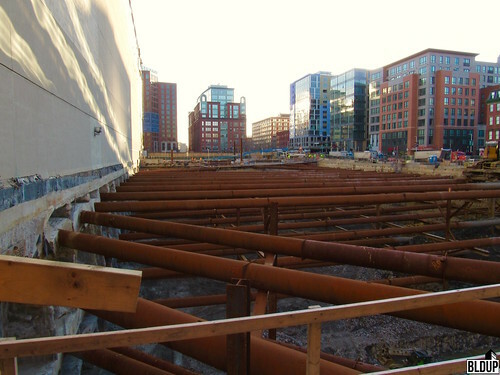 The concrete core is climbing for site 5, 314 Main Street, as part of MIT's Kendall Square Initiative. 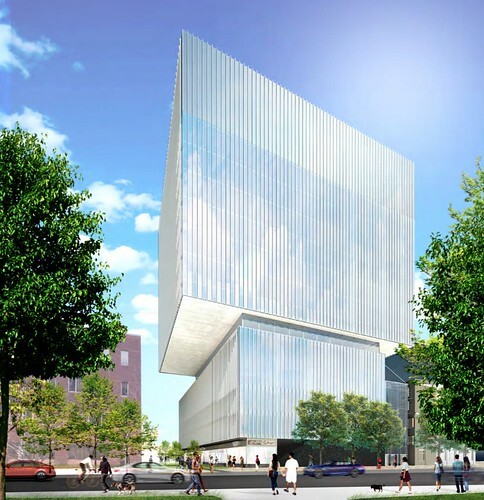 The upcoming 17 story building will be home to Boeing, who has leased 100K sf of space in the project along with the new 57K sf MIT Museum. The building will also feature retail and restaurant space on the ground floor. Construction is expected to be complete in 2020. 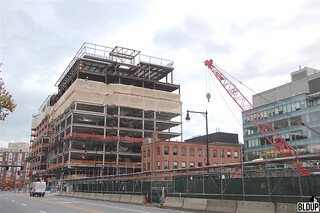 Framing is ongoing for the addition to One Broadway as part of the MIT Kendall Square Initiative. One Broadway will be home to the 19,000 square foot Roche Brothers Marketplace. 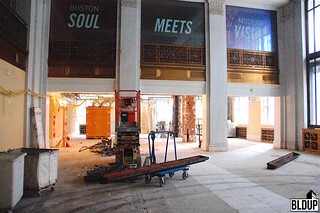 The updated ground floor will also include a restaurant and an updated lobby. 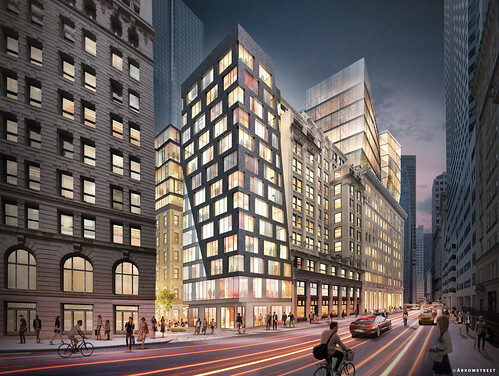 Construction on One Broadway is set to be complete in Summer 2019. 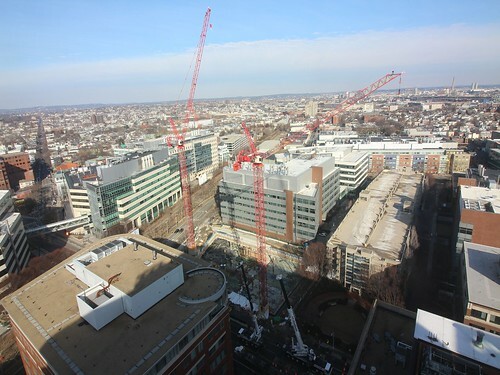 The first tower crane is now in place at 314 Main Street, lot 5 of MIT's Kendall Square revamp, with the second crane to be installed in just a few days time. 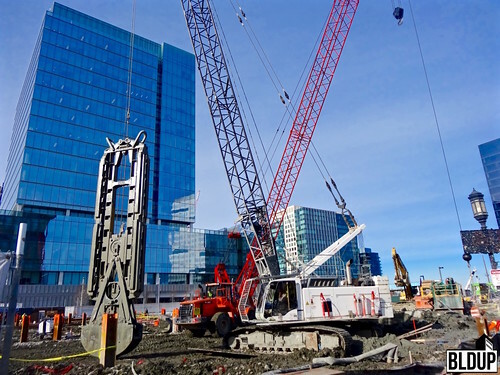 Work is also ongoing for the concrete core of the upcoming 17-story building that will be home to Boeing, the world's largest aerospace company, who has leased 100,000 square feet of the project. 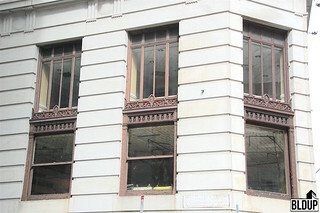 314 Main Street will also house the new 57,000 square foot MIT Museum and feature retail and restaurant space on the ground floor. 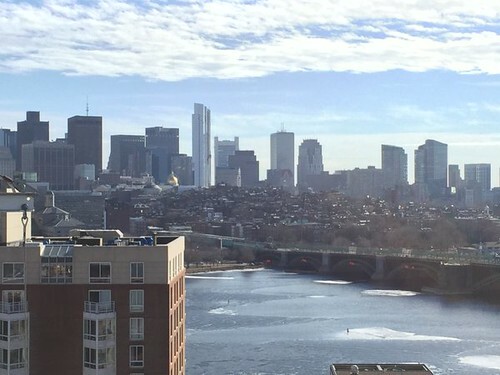 Electrical work is now being completed in WeWork's biggest Boston location. 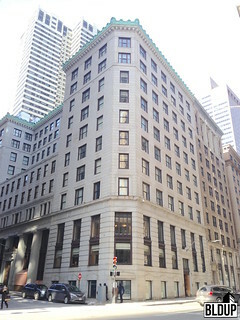 The company agreed to lease 97,000 square feet of office space on floors 2-5 at the Water Street location back in June. The upcoming 458,300-square-foot mixed-use development featuring state-of-the-art hotel, office, residential and retail space is located in the heart of Downtown Boston overlooking Post Office Square. Projected completion is slated for Fall 2018. 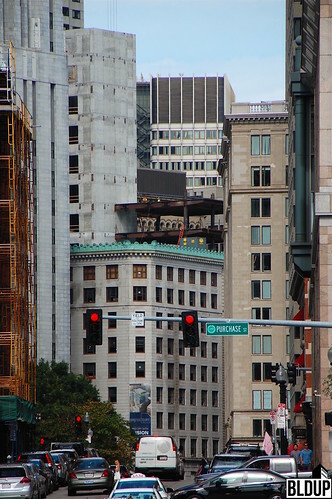 Renovation is ongoing of the five historic buildings in the upcoming Congress Square development in Downtown Boston. 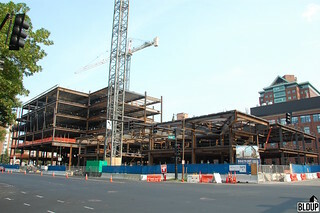 New construction of an additional 93K square-feet is also well underway on the project. When complete Congress Square will feature over 458,000 square-feet of mixed-use space including a Hyatt Centric hotel, modern office space, retail, and 35 condominiums. This unique design blends the historic character of the buildings with a modern aesthetic and amenities. 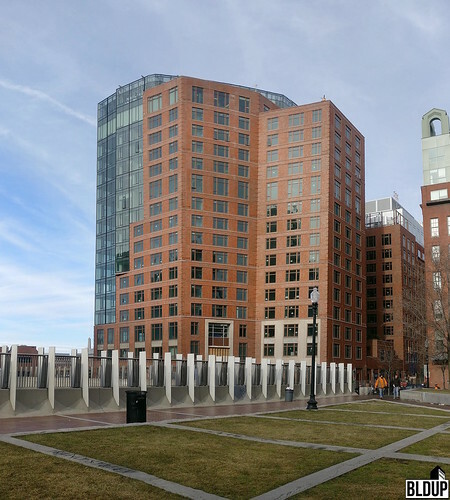 The iconic towers of 50 + 60 Binney Street serve as a gateway to the Alexandria Center at Kendall Square. 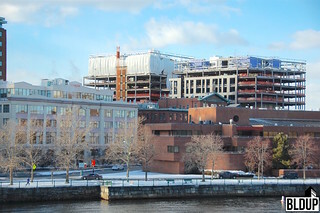 Standing adjacent to the Charles River, the buildings house of 10 stories of mixed-use lab, office and retail space, a mechanical penthouse, and six levels of below-grade parking for innovative technology and life science users, while simultaneously supporting public and retail functions at the ground level. 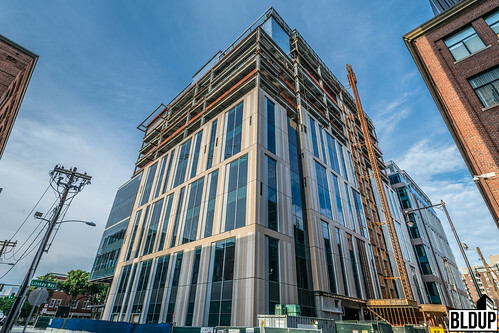 The project, completed by Turner Construction, is part of an eight-building, 2.6 million rentable square-foot campus featuring four ground-up developments and two residential developments. The new amenity-rich Alexandria Center at Kendall Square (ACKS) retail corridor is lined with shops, restaurants, and meeting/event spaces. The project was completed on schedule using Touchplan, a construction software that allows developers to plan, implement, and monitor projects in their entirety. The innovative software gives developers the ability to see the full spectrum of their project down to every last detail. Touchplan has let developers keep their projects on or ahead of time leading to lower costs and more efficient construction. 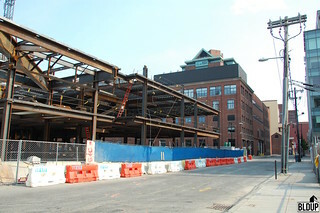 Construction is ongoing at One Broadway in Kendall Square to make way for the new 19,000 square-foot Brothers Marketplace. Roche Bros. Supermarkets signed a lease on the space late last year, bringing a much-needed grocery store to Kendall Square. 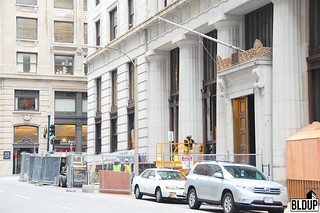 The updated ground floor at One Broadway will also include a restaurant, new space for Dunkin Donuts, and an updated lobby. Work on this part of the project is set to be complete in summer 2019. These improvements are part of a larger MIT Kendall Initiative which includes 6 new buildings for this Cambridge neighborhood. 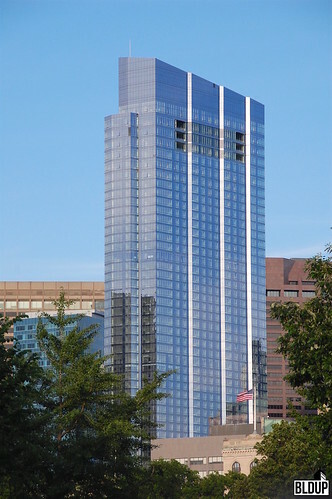 The residences at 101 Beverly Street in Boston's Bulfinch Triangle has been mortgaged for $85 Million via Wells Fargo Bank. 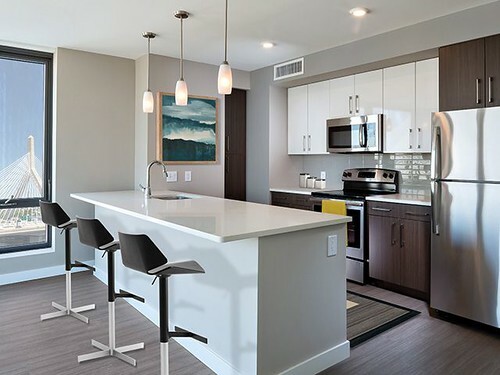 The 14-story mixed-use building features 239 top-quality, mixed-income apartment residences, a 220-room Courtyard Marriott hotel and 10,000 square feet of ground-floor retail. 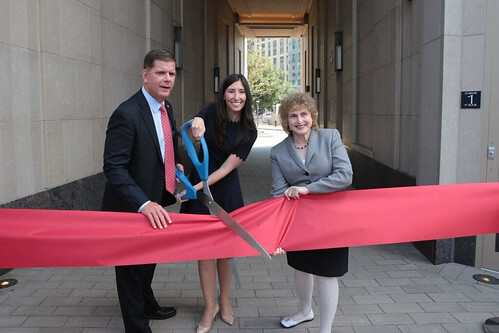 The Beverly is Downtown Boston’s first 100% affordable and workforce housing development in over 25 years; residences are rented to households with incomes ranging from 30 to 165 percent of Area Median Income (AMI). 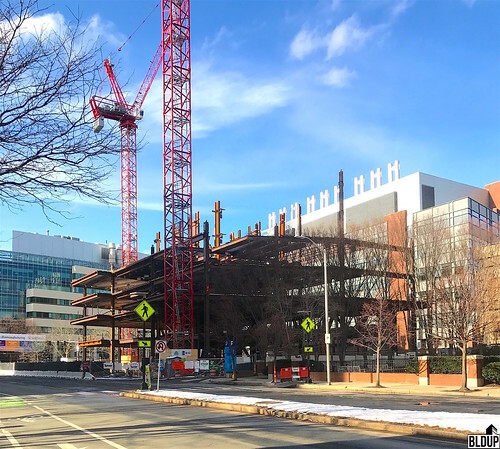 As construction continues, the MIT Kendall Square Initiative project is expected to offer significant benefits for Cambridge, for MIT, and for the region. The new facilities will provide even greater opportunities for interaction and cross-fertilization between the biotech and other high-tech companies that have flocked to the area, and the students and faculty of MIT, whose presence helped draw those companies in the first place. The intermingling of these academic and commercial communities should further enhance the already abundant opportunity for partnerships, internships, collaborations, and serendipitous meetings. 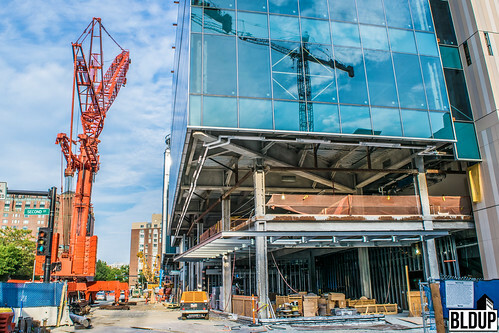 The large development project remains on schedule using Touchplan, a construction software that allows developers to plan, implement, and monitor projects in their entirety. The innovative software gives developers the ability to see the full spectrum of their project down to every last detail. Touchplan has let developers keep their projects on or ahead of time leading to lower costs and more efficient construction. The approval of Downtown’s One Post Office Square renovation will upgrade the 41-story, 515-foot tall office tower and a six-story garage with eight levels of parking and 371 spaces. This fourth amendment to the project will include improvements to the existing office building, exterior façade replacement, recladding of upper levels and the addition of mid-level and roof amenities. Additionally, renovation proposes the demolition of the existing parking garage containing 371 parking spaces and a 15-story addition to the existing office building above the garage. The decrease in parking will result in 300 parking spaces. However, these changes will result in an additional 207,000 square feet on the project site. The proposed project also includes the redesign of the street-level lobby, drive-thru, retail, and drop-off areas, as well as upgrades to the elevator and the building’s mechanical and electrical systems. These updates will take place in a single phase with multiple stages of construction. 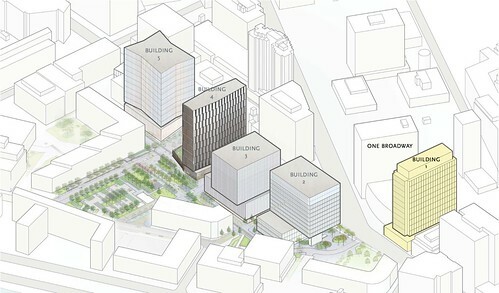 The approved proposal for the renovation of One Post Office Square will also provide a number of public benefits to the immediate Downtown neighborhood, including 700 construction-related jobs, energy-efficient and environmentally friendly buildings that will be LEED certifiable, activation of the street level environment, and more. In addition, $50,000 has been committed toward capital improvements at Martin’s Park located at the Smith Family Waterfront in Fort Point Channel, adjacent to the Children’s Museum. 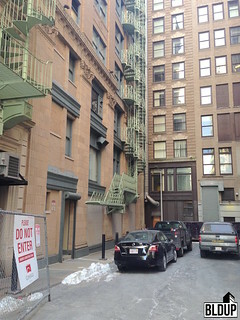 Less than two years after, Related Beal sold the buildings at 15 and 19 Congress Street for $14.55 million to Thibeault Development the latter has turned around and sold the two buildings (totaling 54,461 square feet) to Boston based, Hempisphere Development Group, LLC for $19 million. The buildings are part of the Congress Square project which is a full city block comprised of office, retail, luxury residential and boutique hotel uses with unparalleled branding and high profile signage opportunities.The building will also be reconfigured for over 35,000 square feet of retail along Congress, Water and Devonshire Streets, with both street and interior access to certain spaces. 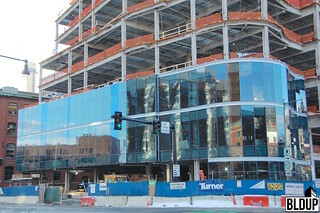 The seven-story “jewel box” addition atop the office component of Congress Square, a mixed-use development overlooking Post Office Square, is now glassed in with a floor-to-ceiling, high-performance glass curtain wall facade. 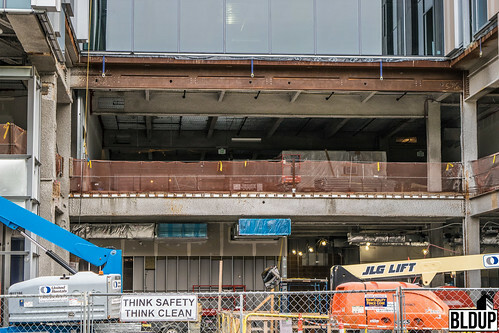 With the addition sealed, the construction team will now turn towards fitting its’ interior out with electrical and HVAC utilities in order to prepare for construction of tenant office space, as well as constructing the addition’s exterior green roof deck. Anchor Line Partners and JLL aim to start construction of the expansion and renovation of the 41-story One Post Office Square tower in the Financial District this June per newly revealed project plans. Construction would take place over the next two years, with completion expected in the fourth quarter of 2018. One Post Office Square, which was completed in 1980, would be fully upgraded with a new glass curtainwall facade and new indoor and outdoor amenity spaces. 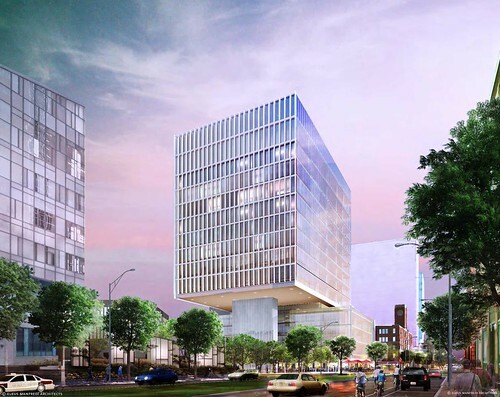 Corner infill areas would be constructed throughout the existing tower, and a new 18-story addition containing parking, office space and mechanical space would be constructed at One Post Office Square’s rear, replacing the tower’s existing parking garage. One Post Office Square’s total floor area would be expanded to 1.1 million square feet from 832,000; the upgraded tower would contain over one million square feet of office space in addition to 52,100 square feet of retail space and a new 300-seat, 8,000-square-foot restaurant. 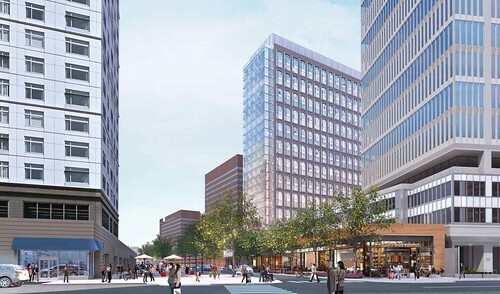 The proponents have filed an Expanded Project Notification Form (EPNF) detailing the proposed plans for One Post Office Square with the Boston Planning & Development Agency (BPDA), who is now reviewing the plans. 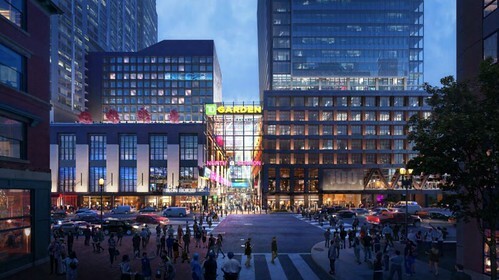 Leading local grocer Roche Brothers will open a 19,000-square-foot Brothers Marketplace grocery store at One Broadway in Kendall Square, part of the Massachusetts Institute of Technology (MIT)'s multi-phased $1.2 billion Kendall Square Initiative mixed-use development. 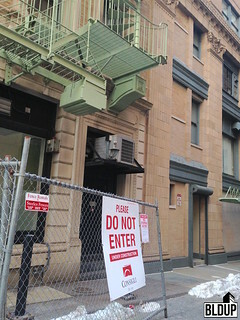 The grocery store is expected to open in summer 2019 and will share One Broadway's repositioned ground floor with a restaurant and a new home for Dunkin Donuts. 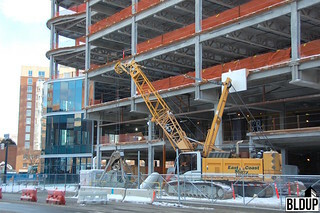 One Broadway's repositioning is part of the 1.8-million-square-foot MIT Kendall Square Initiative development, which will construct six new buildings in Kendall Square including approximately 888,000 square feet of office space, 115,000 square feet of retail, 450 graduate student housing units, 290 housing units and over 1.8 acres of open space. New York City (December 7, 2017). Vidaris, a leading architectural consultancy for building envelope, energy efficiency, specialty engineering, code and construction, announced today that it has acquired CBI Consulting, Inc. (CBI), a 33-year-old architecture, interiors and engineering firm. The partnership will significantly broaden both practices and solidify Vidaris’ leadership in the Boston market where CBI is headquartered. CBI has more than 30 employees providing services to clients in the corporate, government, institutional, higher education, housing and real estate development markets. CBI will conduct business as CBI Consulting LLC, a Vidaris Company. 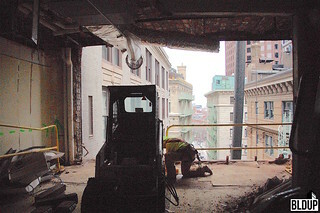 CBI Consulting is a leading New England architectural design and structural engineering firm with a well-deserved reputation for meeting the architectural and engineering needs of its clients. With over 33 years of customer service throughout the nation, CBI has earned the loyalty and respect of its clients, both large and small. Attention to detail, commitment to client needs, and focused problem-solving are the cornerstones of the practice. 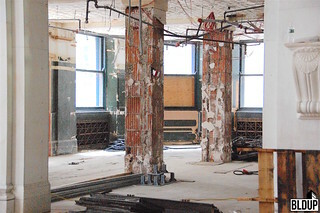 CBI provides a full-service approach to architectural design and structural engineering for building renovation and historical restoration of existing structures as well as new buildings. 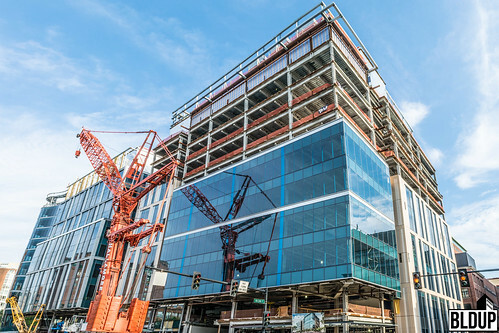 A topping-off ceremony was held today for the seven-story steel jewel box addition atop Congress Square’s office component, which will be anchored by the joint headquarters of advertising agencies DigitasLBi and Publicis.Sapient. 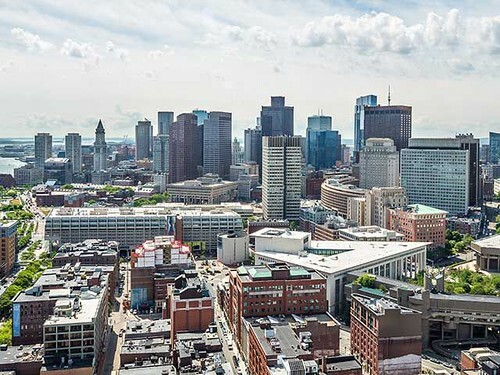 Overlooking Post Office Square and Downtown Boston, the addition will contain office space as well as amenities including an exterior green roof deck. The resulting office structure, developed by Related Beal, will feature 284,600 square feet of space, including the two advertising agencies’ 200,000-square-foot headquarters. 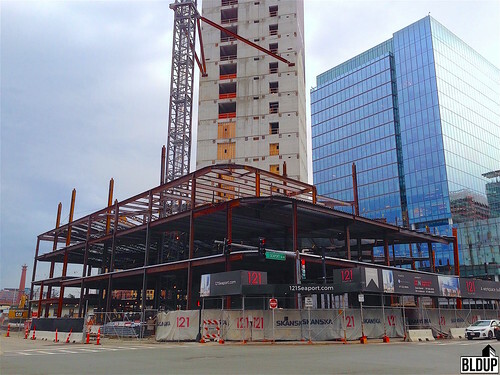 Congress Square’s hotel component is also well underway, with vertical concrete construction beginning on the 13-story addition alongside the existing building at 68 Devonshire Street. The resulting 85,700-square-foot Hyatt Centric boutique hotel, developed by Magna Hospitality Group, will feature 165 keys, in addition to ground-floor retail/restaurant space. 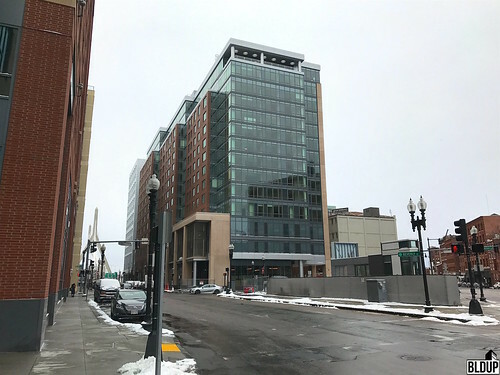 Thibeault Development, owner of the approved residential component of the 458,300-square-foot Congress Square mixed-use development in Post Office Square, has listed the existing buildings approved for residential conversion for sale through Colliers International. Thibeault Development acquired the two existing buildings at 13-21 Congress Street, which are currently vacant and in shell condition and total 54,450 square feet, for $14.55 million in August 2016. The buildings are fully permitted for conversion to 35 condominium residences with ground-floor retail, including vertical expansion by 7,000 square feet to 61,450 total square feet. 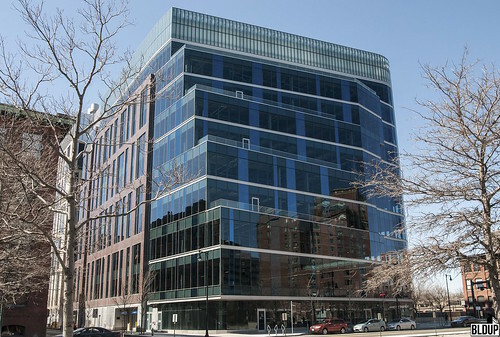 Colliers’ listing touts the buildings’ potential for office use in addition to residential. 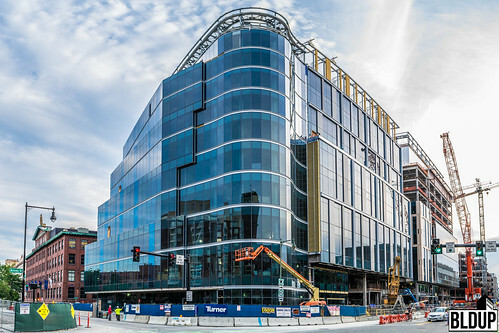 Upon completion as approved, Congress Square will feature 458,300 square feet of space, including a 284,600-square-foot office building developed by Related Beal that will be anchored by the 200,000-square-foot joint headquarters of advertising agencies DigitasLBi and Publicis.Sapient, a 165-key, 85,700-square-foot Hyatt Centric boutique hotel developed by Magna Hospitality Group, 51,350 square feet of residential space containing 35 condominiums and 36,650 total square feet of retail space. Retail will be oriented about Quaker Lane, a pedestrian-friendly arcade that will be located at Congress Square’s center. The office building and hotel, both of which will contain ground-floor retail, are slated for completion in the second quarter of 2018. 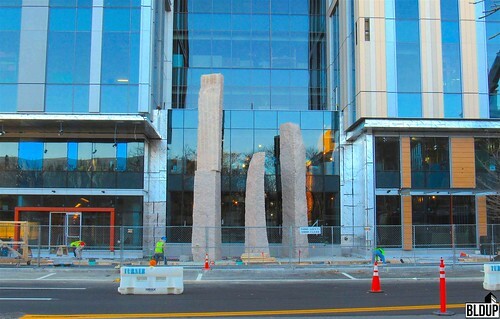 Congress Square was originally proposed by Related Beal, who acquired the property in 2013. Following the project’s approval in 2015, Related Beal sold the hotel component to Magna and the residential component to Thibeault. 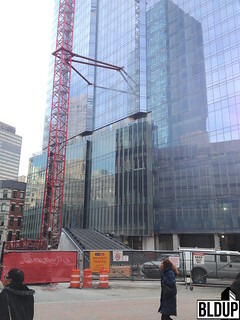 Developers Anchor Line Partners and JLL propose to reposition and expand the aging 41-story One Post Office Square office tower overlooking Norman Leventhal Park in Boston’s Financial District, giving the tower a striking new glass facade and constructing additions totaling 140,000 square feet of new space. The $250 million project, designed by Gensler, would start construction in the third quarter of 2018, following anchor tenant Putnam Investments’ move from 300,000 square at One Post Office Square to 250,000 square feet at nearby 100 Federal Street. The proposed project would expand the 832,000-square-foot One Post Office Square to just shy of one million square feet in size, constructing corner infill areas along the existing tower and a new 10-story building atop the building’s existing six-story parking garage along Oliver Street; a total of 140,000 square feet of new space would be constructed. 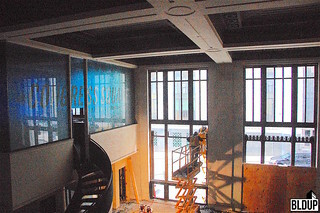 The existing building’s facade would be fully re-cladded with floor-to-ceiling glass panels, and new outdoor spaces would be constructed throughout the building. Additionally, the tower’s retail space would be expanded, and mechanical and electrical upgrades would be made. 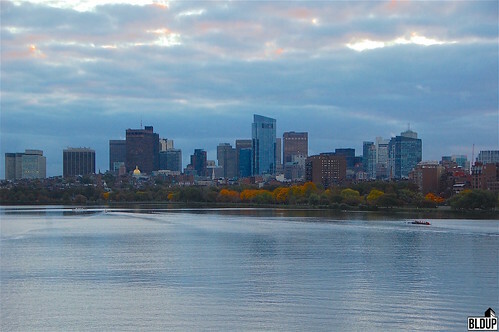 Anchor Line Partners and JLL have filed a Letter of Intent (LOI) to construct the project with the Boston Planning & Development Agency (BPDA), starting the project’s city review process. 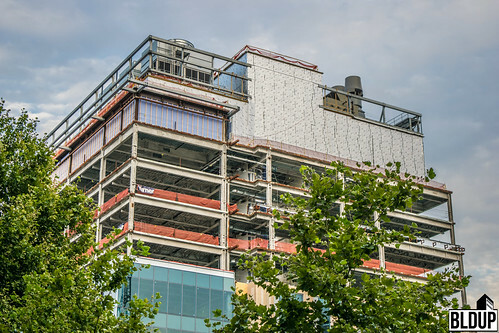 The first two floors of the seven-story steel jewel box addition atop Congress Square’s future office building have been erected, with construction of the building’s concrete elevator core complete. 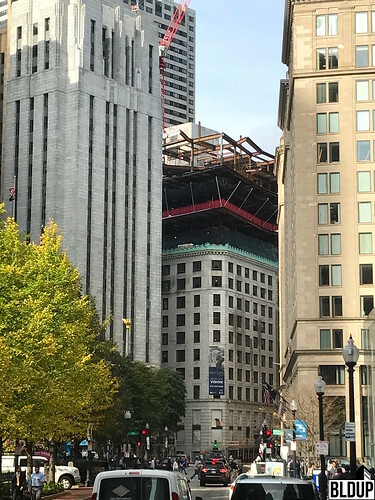 In addition to office space, the addition will contain amenities including an exterior green roof deck overlooking Post Office Square and Downtown Boston. 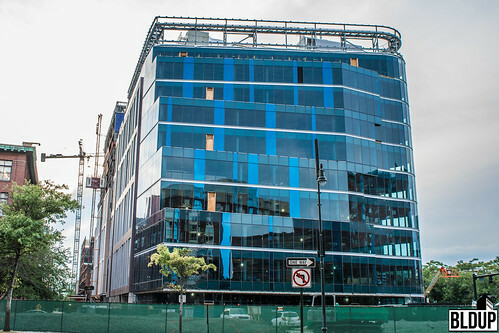 Congress Square’s 284,600-square-foot office component, developed by Related Beal, will be anchored by the 200,000-square-foot joint headquarters of advertising agencies DigitasLBi and Publicis.Sapient, with additional office space and ground-floor retail space now leasing. 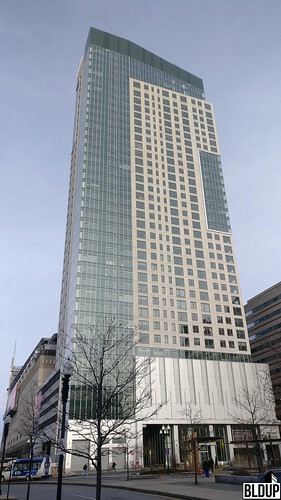 Related Beal has unveiled The Beverly, formerly known as Parcel 1B, a 484,000 square foot building which will be Downtown Boston’s first 100% affordable and workforce housing development in over 25 years. The Beverly will feature 239 top-quality apartment residences, including much-needed family-sized apartments, providing downtown living at a moderate price. The building will also include a 220-room Courtyard Marriott hotel and 10,000 square feet of ground-floor retail. Lease applications for residences will be available from July through September 6th, with move-ins expected in early 2018. The latest building information and renderings are posted above. 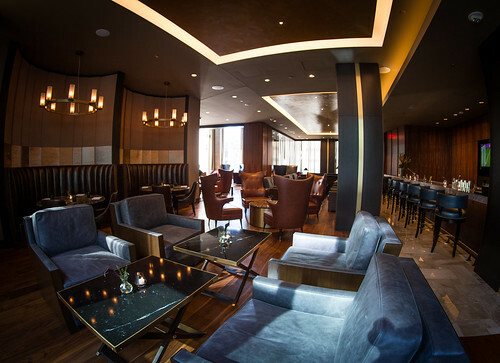 Hyatt Hotels Corporation has announced it will open a Centric hotel, Hyatt’s new millennial-minded, upper-upscale lifestyle boutique hotel brand, at the 458,300 square foot Congress Square development in the Financial District. 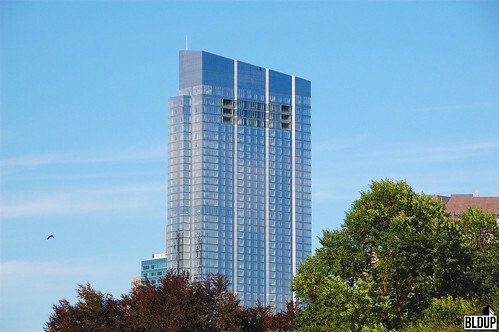 The new hotel, Hyatt Centric Boston, is expected to open in 2018 and is part of a 12-hotel worldwide expansion campaign; Centric launched in 2015 and currently includes 14 hotels in North and South America. Centric hotels emphasize individual, social design that captures local flavor, centered about The Corner, Centric hotels' signature craft cocktail lounge, and a locally-themed bar and restaurant. Staff at Centric hotels are specially trained to provide custom-tailored tourism recommendations for guests. 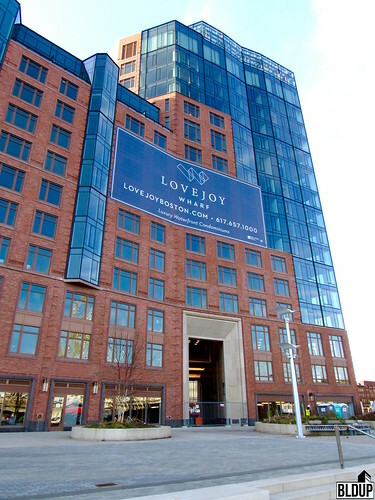 Magna Hospitality Group, Hyatt Centric Boston’s owner, acquired Congress Square’s 85,700 square foot boutique hotel component for $16.5 million from Related Beal in August 2016. The hotel will incorporate an existing 12-story, 53,072 square foot building at 68 Devonshire Street and construct a new 13-story horizontal addition on the adjacent vacant lot. 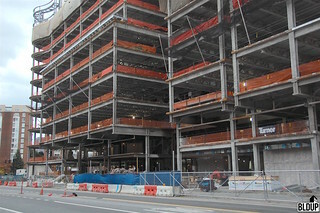 Congress Square is a 458,300 square foot mixed-use development overlooking Post Office Square which will feature hotel, office, residential and retail space. Office and retail space, which are being developed by Related Beal, are now leasing. Advertising agencies DigitasLBi and Publicis.Sapient will open a 200,000 square foot joint headquarters at Congress Square. 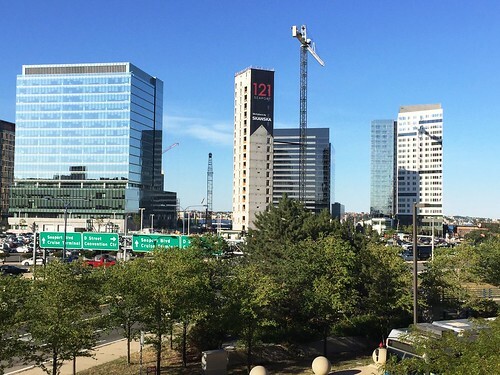 Featuring six new buildings totaling nearly 1.7 million square feet and pegged at $1.2 billion, MIT’s Kendall Square Initiative development is transforming Kendall Square with a pedestrian streetscape, state-of-the-art office space and an increased residential presence. Formerly dormant blocks and surface parking lots will be revitalized with new retail and public spaces topped off with offices and residences that will activate the area 24/7. 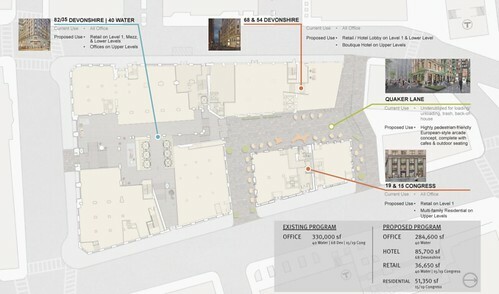 The development’s SoMa (South of Main Street) phase began construction last fall, and the NoMa (North of Main Street) phase is moving through design review. 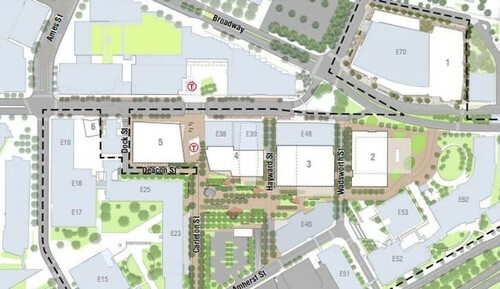 Updated plans for the NoMa phase were recently revealed. 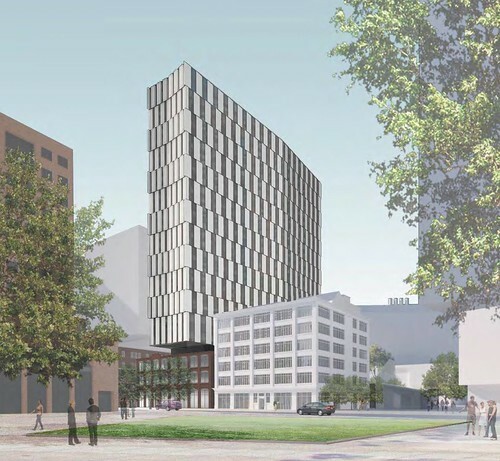 NoMa will construct Building One, a 290 to 300-unit apartment building, as well as 33,915 square feet of new retail and 15,995 square feet of new office space strategically positioned along Broadway and Broad Canal Way. As part of NoMa, the existing One Broadway office building will be improved with additional office and retail space as well as facade renovations and a new office tenant outdoor terrace. Building One will be located adjacent to the existing One Broadway building, replacing an existing surface parking lot, and will provide additional retail frontage along both streets. Building One will be 24 stories tall and will contain approximately 384,050 square feet. At least 53 apartments at Building One will be affordable under Cambridge’s inclusionary zoning ordinance. Building One will replace the existing 144-space surface parking lot with 150 garage parking spaces and over 350 bicycle storage spaces. The development team hopes to activate the Broadway frontage with a grocery store; the new retail along Broad Canal Way will complement the existing ground-floor retail along that street located in the Watermark Kendall development. The SoMa phase, Buildings Two through Six, will build five new buildings while preserving three historic buildings on Main Street. Building Two will feature 300,000 square feet of office space and 18,000 square feet of retail at the corner of Main Street and Wadsworth Street. Building Two will replace MIT’s existing Eastgate graduate student housing building. Building Three will contain approximately 280,000 square feet of research and laboratory space and will be built on the existing Hayward Street surface parking lot. Approximately 27,000 square feet of retail will be located at Building Three’s base. Building Four will feature academic housing, with as many as 450 units for graduate students, as well as a 9,000 square foot childcare center and 28,000 square feet of retail. 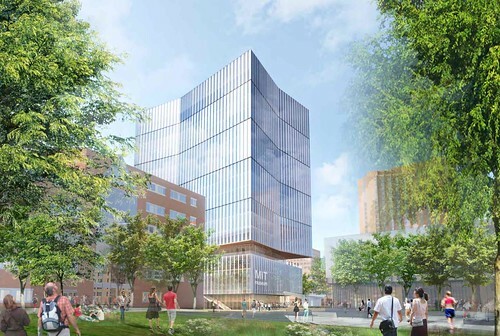 Building Five will feature 360,000 square feet of office space, 20,000 square feet of retail and a new 65,000 square foot home for the MIT Museum. Building Five will replace the existing Kendall Square Lot and a one-story commercial building. Lastly, Building Six will be a two-story commercial building with 6,600 square feet of retail space. About 1,400 parking spaces will be built as part of SoMa, and two new Hubway stations are planned for the full development. A new head house for the Kendall Square MBTA Red Line station may be built. Other pedestrian-oriented improvements are in the works, such as raised crosswalks on Wadsworth Street, multiple new green spaces and the closure of Hayward Street to through traffic, creating a new retail and public space-lined pedestrian mall. 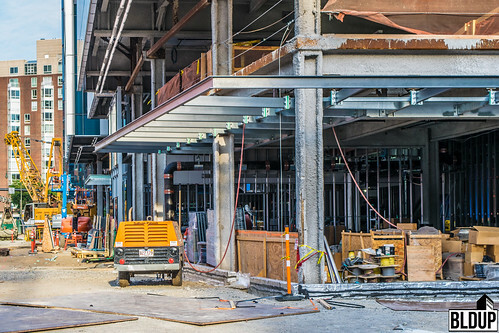 The development of retail along the south side of Main Street and side streets will contribute to pedestrian use and make the MIT campus more connected to Kendall Square’s multiple public transit options. 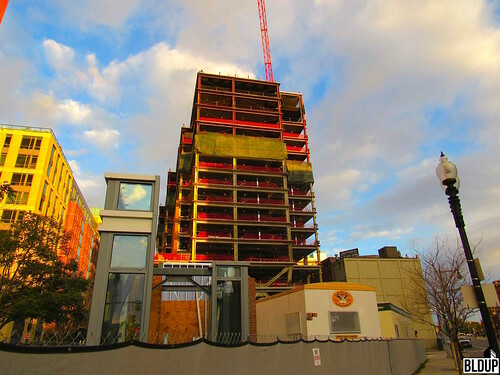 A topping off ceremony was held yesterday (November 10th, 2016) for Related Beal’s 14-story Parcel 1B apartment and hotel building in Bulfinch Triangle, which has reached its’ full height after just 23 weeks of construction. 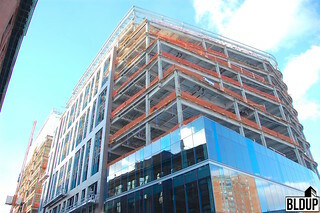 A large section of the Parcel 1B building’s facade, which includes precast brick panels, has been installed. Salesforce Tower became San Francisco’s tallest building last Friday (October 14th, 2016), reaching 867 feet tall and surpassing the 853-foot tall Transamerica Pyramid. 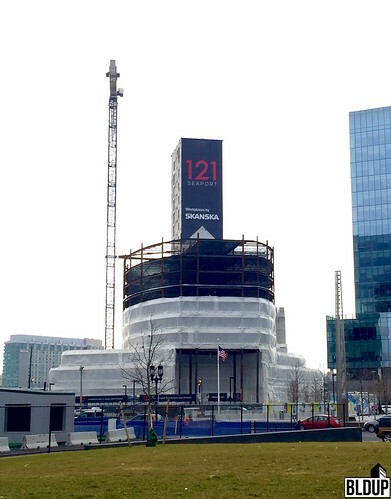 The 1.4 million square foot tower will continue to grow to a full height of 1,070 feet tall, at which point it will be the tallest office building west of Chicago. Salesforce Tower’s core walls are expected to top off in early November, with structural steel topping off in March 2017. Base core and shell work is expected to be complete in the second quarter of 2017, with tenants taking occupancy in the fourth quarter of 2017. Additional information about Salesforce Tower can be found above. An official groundbreaking ceremony was held Tuesday (October 18th, 2016) for One Vanderbilt. At 1,401 feet tall, One Vanderbilt will be Midtown Manhattan's tallest tower and New York City's second tallest tower upon its' expected completion in 2020. One Vanderbilt will contain 1.7 million square feet of office and retail space. TD Bank will be an anchor tenant at One Vanderbilt, occupying approximately 200,000 square feet of office and retail space including a flagship store at the corner of 42nd Street and Madison Avenue. As part of the project, One Vanderbilt developer SL Green Realty Corporation will invest $220 million in upgrades to New York City's mass transit system, including to the adjacent Grand Central Terminal. 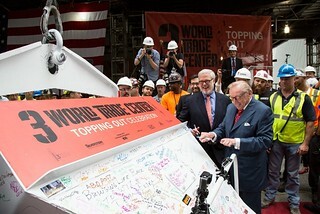 A topping off ceremony was held in New York City yesterday (October 6th, 2016) to mark the completion of 3 World Trade Center's 80-story, 1,079 foot tall steel frame. 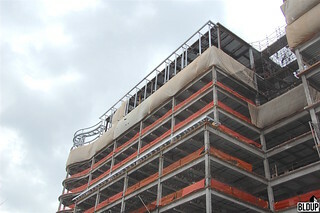 During the ceremony, the frame's final steel beam was lifted into place at the tower's summit. 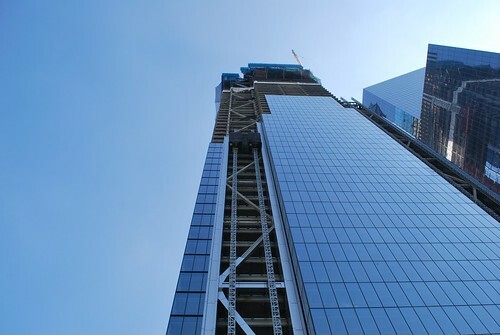 3 World Trade Center's glass curtain wall has nearly reached the top floor. 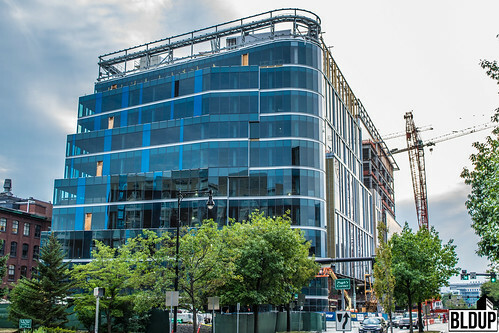 Vidaris is providing comprehensive building envelope consulting and monitoring services for the curtain wall's construction. 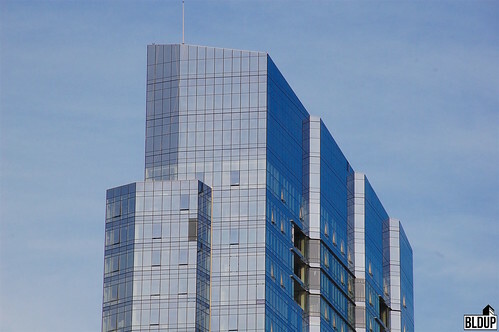 The curtain wall includes a high-performance thermally-broken window wall system which incorporates low-emmisivity glass for optimal thermal performance. 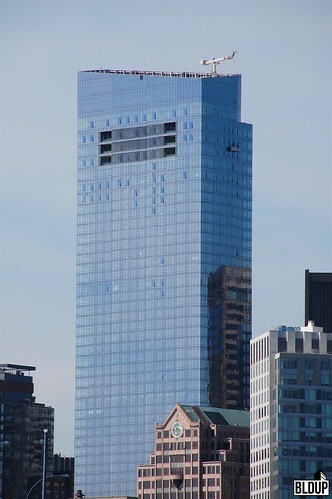 3 World Trade Center is targeting LEED Gold efficiency certification. 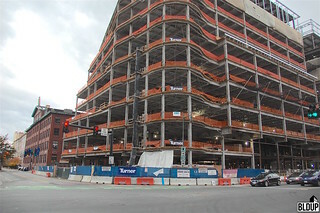 Related Beal now only retains ownership of Congress Square's 40 Water Street, where approximately 285,000 square feet of office space and 31,000 square feet of retail are currently under construction. Related Beal sold 15 & 19 Congress Street, the residential component of Congress Square, to Thibeault Development last week for $14.55 million; 35 condominiums with ground-floor retail are approved for construction at 15 & 19 Congress Street. More information about Congress Square is posted below. In an official press release on Friday, Related Beal announced that the buildings at 15 and 19 Congress Street sold Thursday for $14.55 million by Related Beal to Thibeault Development will be redeveloped into residences as originally planned. 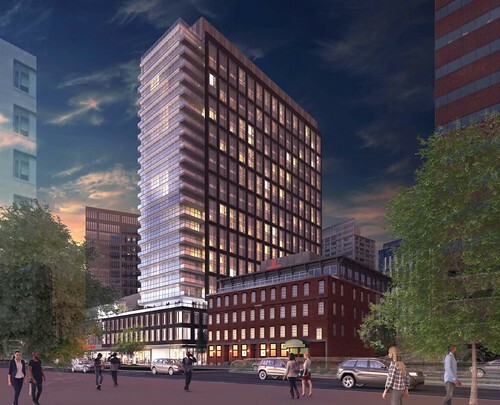 It has not been announced whether Thibeault Development's residences will be condominiums or rentals, and a unit count has not been specified; a Notice of Project Change (NPC) has not been filed with the Boston Redevelopment Authority (BRA) at this time. 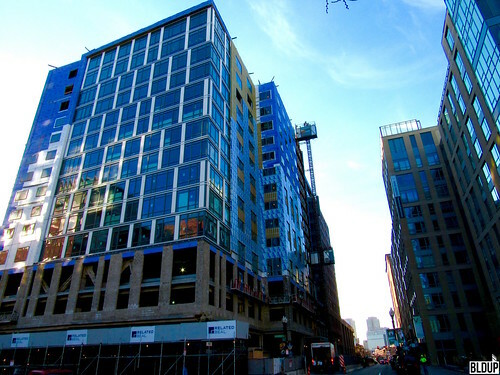 Related Beal had intended to construct 35 condominiums at 15 and 19 Congress Street; the buildings total 54,461 square feet. According to the official press release, Thibeault Development will construct approximately 5,750 square feet of retail on the ground floor of 15 and 19 Congress Street fronting the future Quaker Lane, a pedestrian-friendly avenue planned at the center of the Congress Square development project. 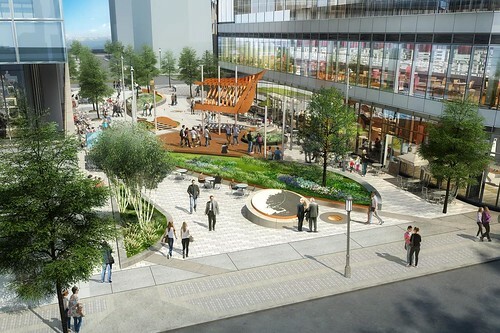 "We are excited with the master plan for Congress Square that Related Beal has developed and are looking forward to being a part of bringing it to fruition," said Billy Thibeault, Principal at Thibeault Development. Related Beal will continue to develop the remainder of the Congress Square project. 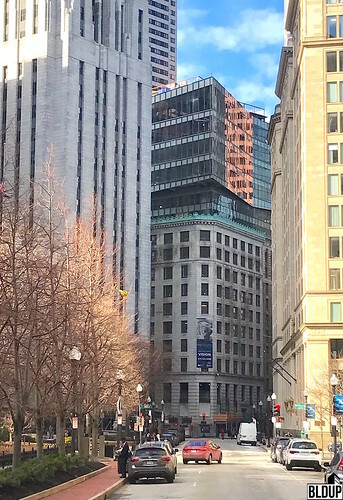 "The residences that Thibeault is developing at 15 and 19 Congress Street contribute greatly to our vision of Congress Square as a dynamic addition to Boston's downtown,” said Stephen Faber, an executive vice president at Related Beal. The following is a link to the official press release announcing the sale of 15 and 19 Congress Street to Thibeault Development. More information about Congress Square is posted below. 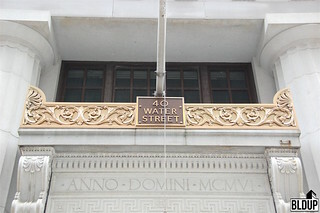 More information about 50 & 60 Binney Street is posted below. 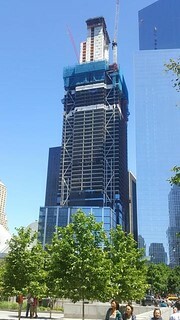 A topping out ceremony was held Thursday for New York City's 80-story, 1,079 foot tall 3 World Trade Center office tower. The ceremony marks the completion of concrete construction. 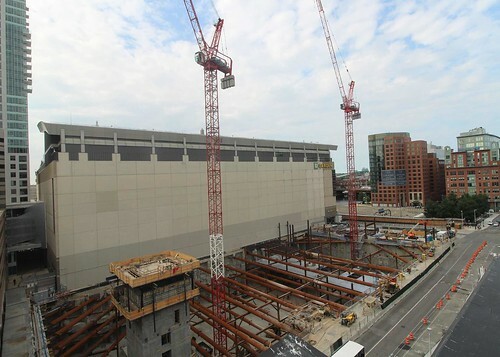 The tower will consist of a reinforced concrete core; construction continues on the surrounding steel structure. 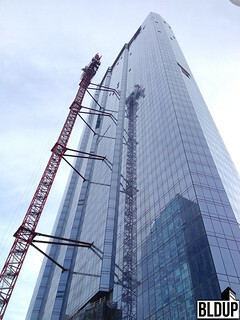 3 World Trade Center is the fourth of five buildings that will be built at the World Trade Center site. More information about 3 World Trade Center is posted below. 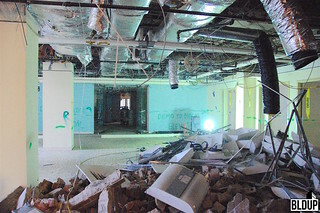 J. Derenzo Companies’ JDC Demolition division is hard at work performing interior demolition at Congress Square in Boston’s Financial District. 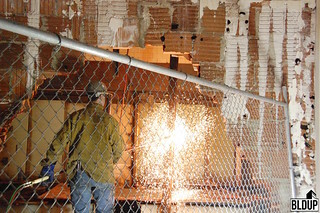 The JDC team is gutting the five existing Congress Square buildings, paying careful attention to the abundant historic detail inside. Authentic copper and marble finishes are prominent throughout the buildings; pillars and walls feature intricate patterns and carvings. 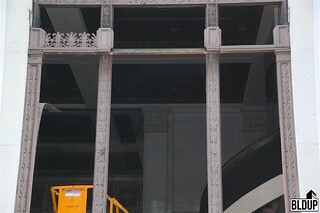 These unique details will be preserved as part of the Congress Square development. We also observed the first restored copper panel on Congress Square’s exterior. As previously reported, the authentic copper panels on Congress Square’s exterior will be fully restored to their “original, copper dipped shine:"
More information on the Congress Square project, including architectural renderings, is posted below. 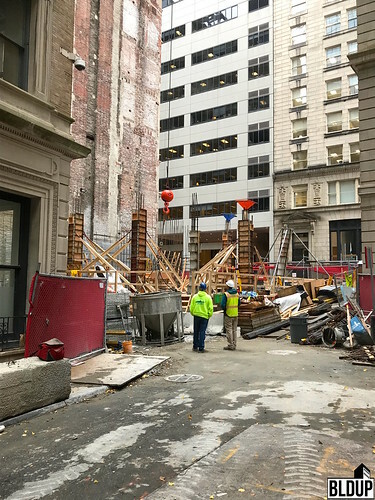 Arrowstreet reports an exciting discovery has been made at Congress Square, currently under construction in Boston’s Financial District. 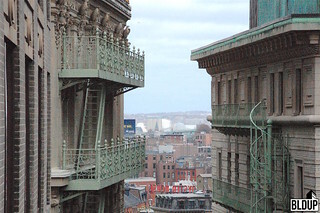 While restoring painted exterior grillwork of the historic buildings, the Consigli construction team discovered that the grillwork is copper-plated and that the panels contain previously unseen intricate craftsmanship. The panels will now be fully restored to their “original, copper dipped shine,” which will further enrich the pedestrian experience that is central to the Congress Square project. We are excited to watch Congress Square continue to progress and cannot wait to see what other hidden historic details are uncovered! 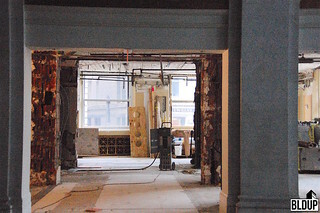 Congress Square will fully restore five historic buildings. 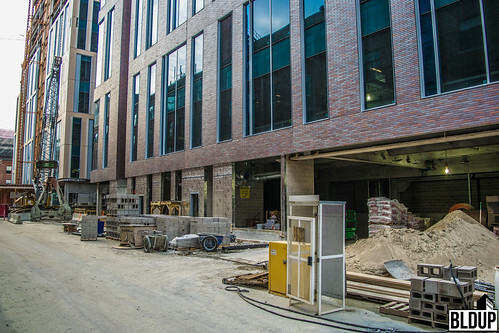 New glass additions will be constructed above the buildings; a new hotel building will also be built on site. A pedestrian mall lined with retail spaces and outdoor seating will be built at the site’s center. More project information, including renderings, is posted below. 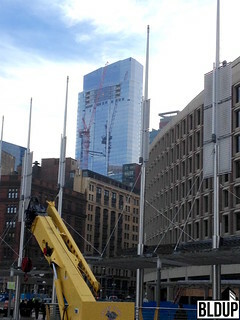 Construction is starting at Congress Square in Boston's Financial District! 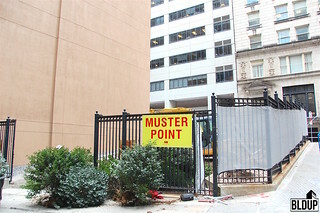 Construction fencing has been installed at Quaker Lane along with signage reading "Under Construction." 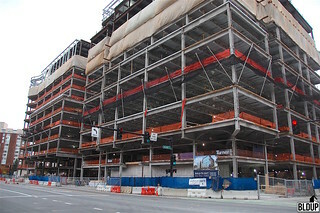 Consigli Construction will manage Congress Square's buildout. 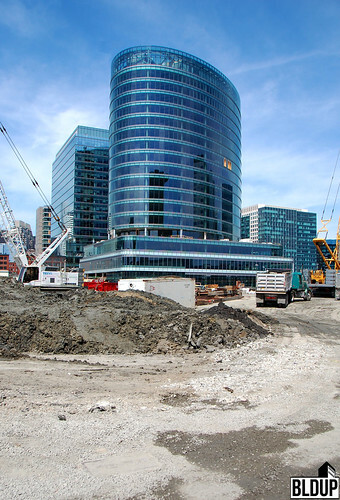 J. Derenzo Company is actively preparing the Parcel 1B construction site for construction of a 14-story building. Formerly known as The Merano, the building at Parcel 1B will include a 220-room Courtyard Marriott hotel and 239 affordable workforce apartments. At the Parcel 1B groundbreaking ceremony on Thursday, we got to see J. Derenzo Company at work performing excavations and pile driving for the building’s future foundation. We had the honor and privilege of joining developer Related Beal at Parcel 1B’s official groundbreaking ceremony on Thursday. 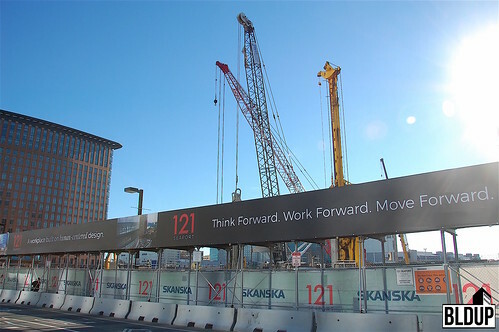 We are very excited to watch J. Derenzo Company and Consigli Construction build Parcel 1B, a development project that will create new community-driven housing opportunities in downtown Boston and bring new residents and visitors to the Bulfinch Triangle neighborhood. Photographs from Thursday’s groundbreaking ceremony are posted above. 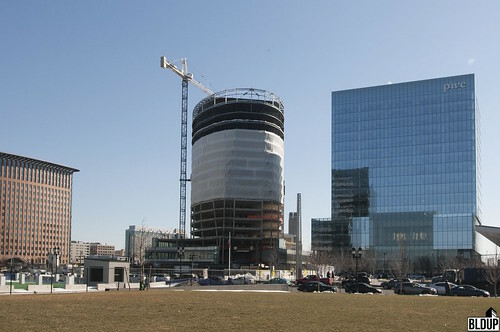 Related Beal is also the developer of Lovejoy Wharf in Bulfinch Triangle and Congress Square in Boston's Financial District. 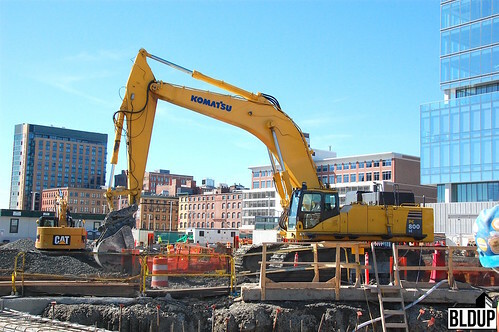 The company recently acquired the former Quinzani's Bakery site in Boston’s South End and filed a letter of intent with the Boston Redevelopment Authority to construct a new residential development. Construction was completed at Vivo Apartments in September 2015. Building is now leasing. New photographs posted. 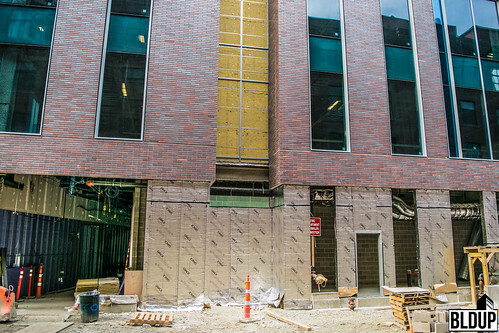 Installation of glass panels and brick finishes is underway at 50 & 60 Binney. 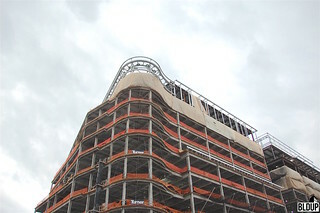 Glass has risen three stories along Binney and First streets, and brick has risen nearly 10 stories along Linskey Way. 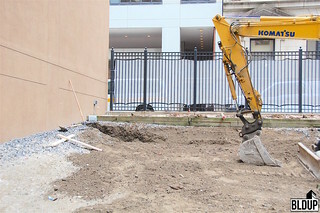 Construction fencing has been installed at The Merano, and initial site work is kicking off! New photographs posted. 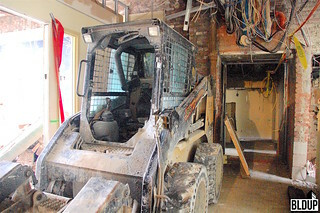 Construction is set to begin this week at The Merano. 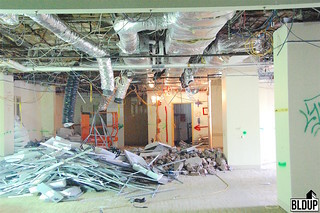 New pre-construction photographs posted. 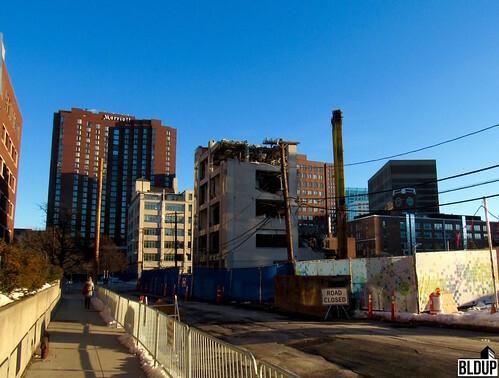 We stopped by 50 & 60 Binney in rapidly-developing Kendall Square. 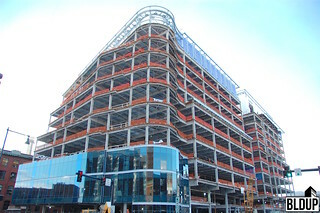 Topped off since September, 50 & 60 Binney's frame is being prepared for installation of exterior finishes. 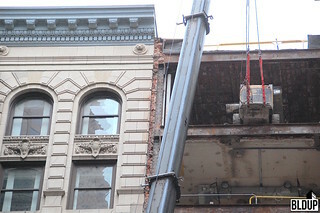 50 & 60 Binney's facade will consist of glass, metal panels and bricks. 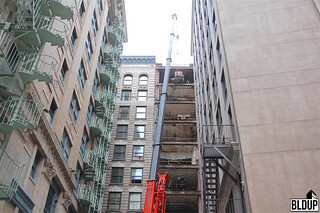 The topping-off ceremony for 50 & 60 Binney was held today! The following is a link to a video of the ceremony. 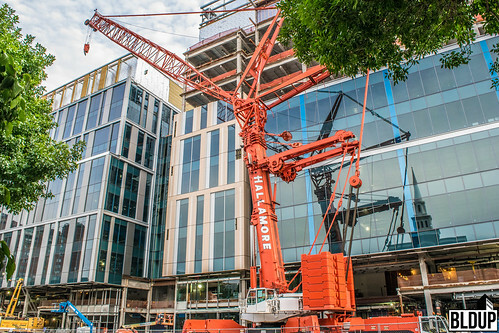 50 & 60 Binney will be a 10-story, 541,000 rentable square foot (RSF) lab and office building. 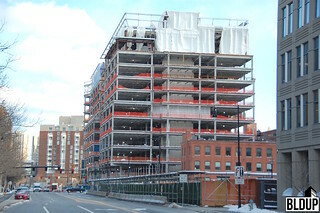 50 & 60 Binney's steel frame has risen six stories and will soon top off! 50 & 60 Binney will be a total of 10 stories tall. Introducing 50 United Nations Plaza, an iconic addition to the Manhattan skylineâ€”and the ultimate global address. 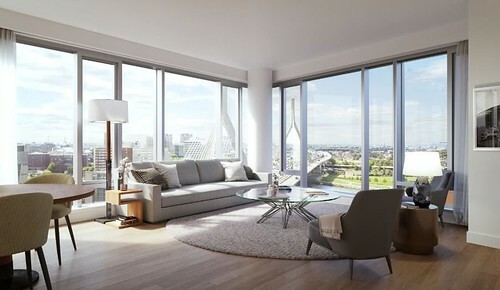 The shimmering modern tower presents the opportunity to live in one of the worldâ€™s most prestigious locations, in a building designed by one of the most esteemed international architects, delivered by New Yorkâ€™s most trusted developer.